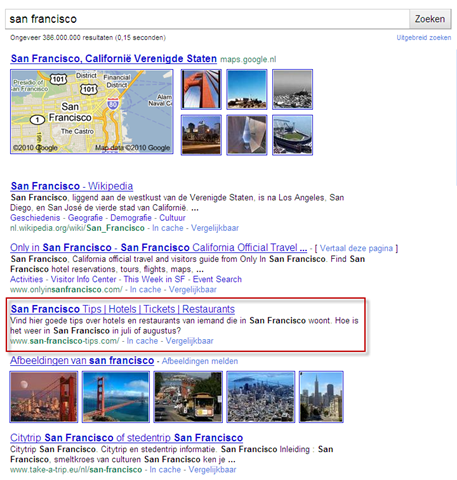 For the last year the traffic on my Dutch San Francisco site suffered from the backlash of Universal Image search. 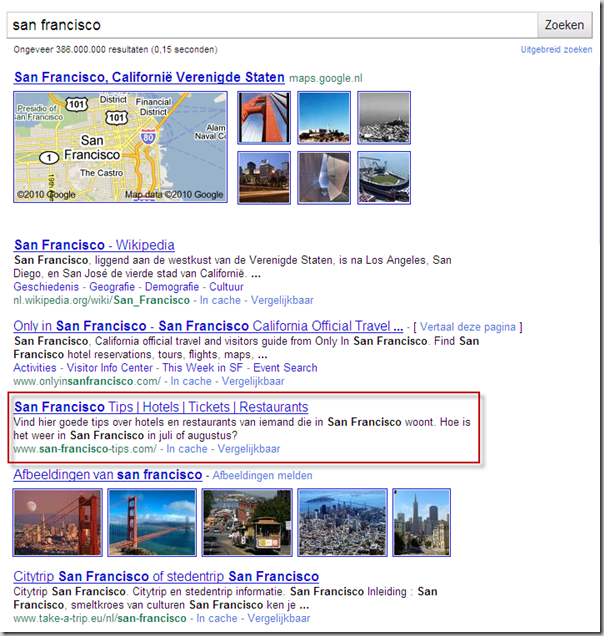 Images of San Francisco outranked my homepage on the KW San Francisco. My listing was pushed down around end of April last year, and as you can see in the graph below, on San Francisco, I dropped in traffic. But since recently, traffic is returning. Today was the first time I checked on the actual rankings, and what you think… my site is above the images again! Hooray!